There are two ways to set up security: for all companies or for specific companies. Most Elliott customers will have security set up for all companies. This makes it convenient when a new company is added since security will already be in place. The drawback is that the user has access to all companies. If you want to limit what companies a user can access, you will need to create a security record for each company and remove the All Companies record. 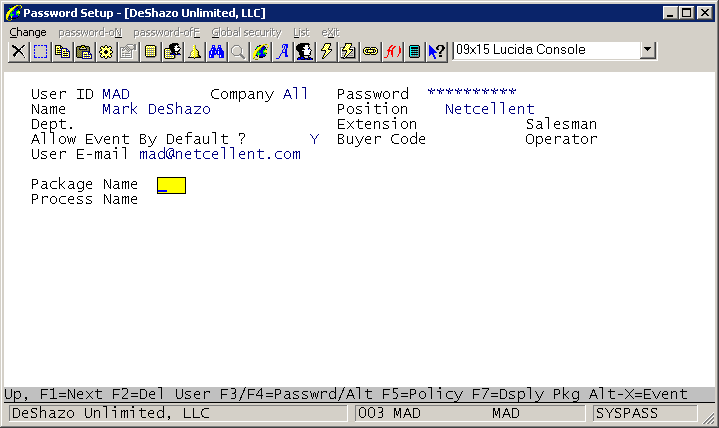 Log into Elliott as SUPERVISOR or an equivalent and from the main menu select Util-Setup and Password Setup. Click Change and you will notice at the bottom of the screen that three function keys are available: F2 for Copy User, F3 for Copy User Company, and F7 for Search User. Press F3 to bring up the function to copy a company security record for a user. Enter the user ID, the From company and the To company. The From company will be zero (0) for all. In our example, this will create a security record for company 70 based on the settings that were established for all companies. Now we must remove the All Companies record. 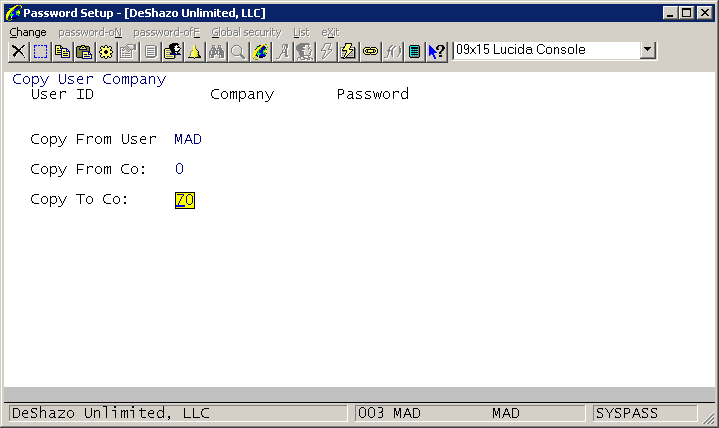 Back on the Password Setup screen, click Change and enter the user ID and zero for the Company to bring up the All Companies record. Click No. You would respond Yes to this question if you were going to completely delete all access for the user. 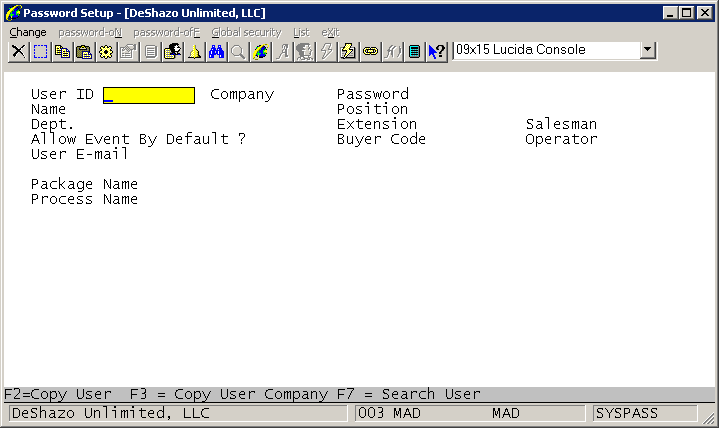 Now you can use the F3 Copy User Company function to add additional company access for the user. It will take all the security settings from the source company and copy them to the target company. You can also enter the user ID and a company number in the Change mode to add a company if you prefer to manually set up the menu and security settings.